Coming in September, a free Kindle anthology of six “new” stories featuring Dr Watson. In writing these I have drawn upon Arthur Conan Doyle’s non-Holmess short stories, as I did in the tale that concluded A Study in Murder. There is also a seventh story, which didn’t make the cut, called The Locked Room (based on ACD’s The Sealed Room). It will probably appear here sometime soon. Meanwhile, the cover of the new collection looks like this. 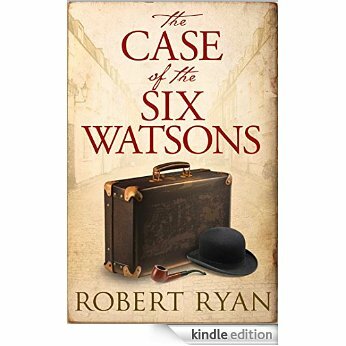 This entry was posted in Books and tagged Arthur Conan Doyle, Sherlock on June 9, 2015 by Robert Ryan.